Catboy, Owlette, and Gekko must stop Luna Girl before she creates a floral fiasco in this adorable shaped board book based on PJ Masks, the hit preschool series airing on Disney Junior! Luna Girl has hatched a new plan—she plants a giant moonflower to spread thousands of seeds all over the city. Soon, giant weeds will appear everywhere. 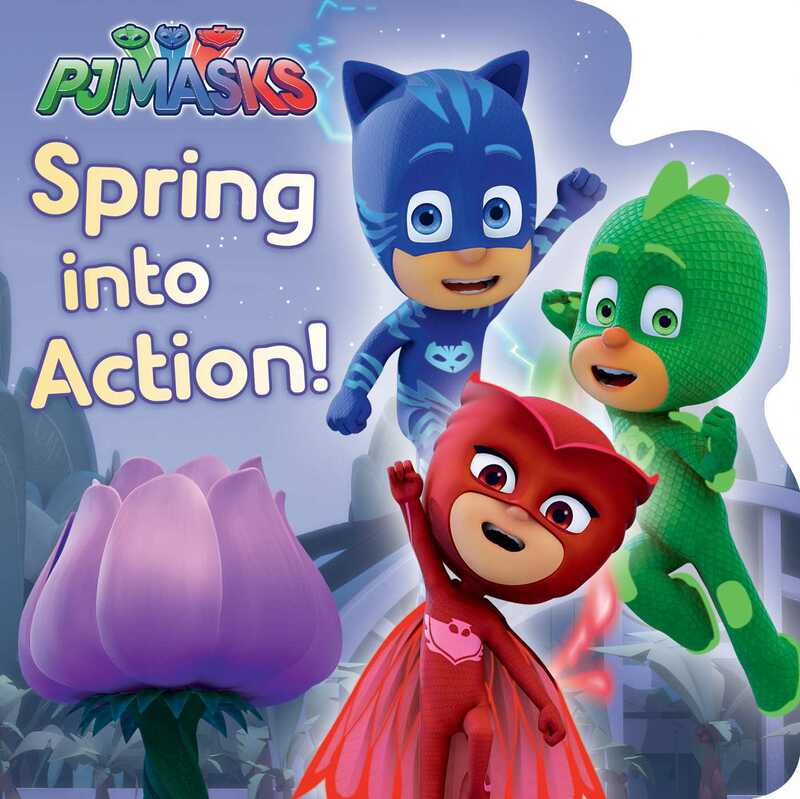 It’s up to the PJ Masks to stop her—but they don’t know much about plants. Can they learn what to do in time to save the city? Book Cover Image (jpg): Spring into Action!